The average cost of memory care in Zephyrhills is $3,600 per month. This is lower than the national median of $4,650. Cheaper nearby regions include Thonotosassa with an average starting cost of $2,500. Caring.com has helped thousands of families find high-quality senior care. To speak with one of our Family Advisors about memory care options and costs in Zephyrhills, call (855) 863-8283. Of the 15,247 residents who live in Zephyrhills, 4,909 (32 percent) are aged 65 and over. In Pasco County, where Zephyrhills is located, 15,485 residents (3 percent) are likely to have Alzheimer's disease or dementia. 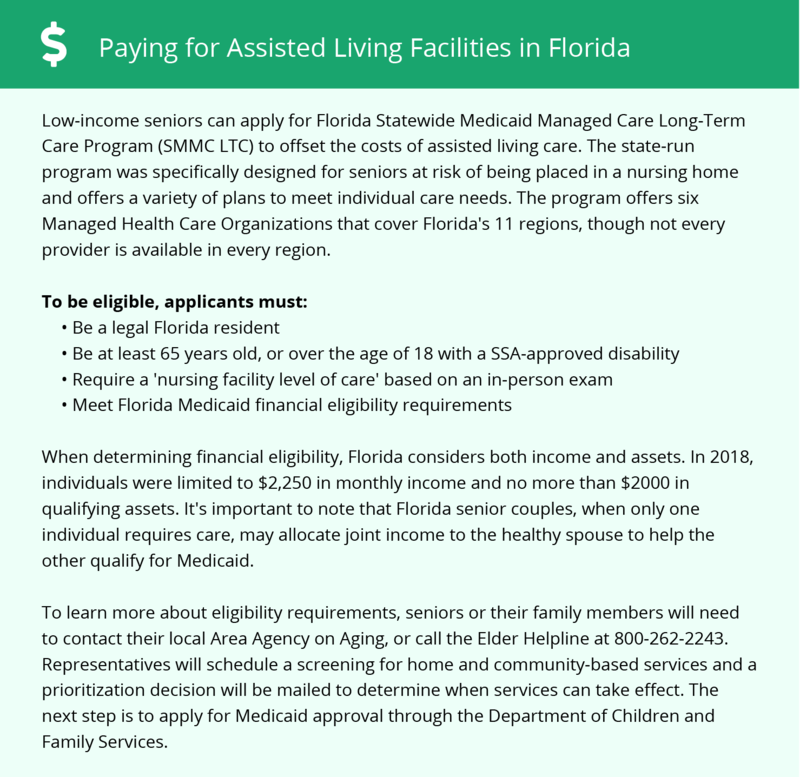 If an assisted living facility intends to house and supervise patients with cognitive issues, it must first obtain an extended congregate license per state of Florida regulations. There is only one memory care facility in Zephyrhills, but in the greater Tampa area, there are 22 facilities. With Zephyrhills' Sperling Comfort Index of 78 out of 100, seniors may experience less joint swelling from arthritis. Mild winters with lows of 48 and pleasant summertime highs of 92 are pleasant for elderly folks. With 53 inches of rain yearly, Zephyrhills has 14 inches more rain than the U.S. average of 39. The 249 sunny days residents can enjoy is also greater than the national annual average of 205. A total lack of snowfall may also be attractive to seniors and their families. On a scale of one to 100, with 100 representing the most crime and one being the least, Zephyrhills has an index of 34.9, while the U.S. norm is 31.1. However, Zephyrhills' property crime index is 80.1, which is more than double the national average of 38.1. The Zephyrhills cost of living is based on a national average of 100. Zephyrhills cost of living is 95.0, so it is close to equal to the national average. Therefore, healthcare will probably be in line with the country's norm. Florida's lack of a personal income tax can give residents more disposable income, especially those who are retired and on a fixed income. That extra money can go toward the expense of living in a memory care facility. Memory Care costs in Zephyrhills start around $3,600 per month on average, while the nationwide average cost of memory care is $4,799 per month. It’s important to note that memory care rates in Zephyrhills and the surrounding suburbs can vary widely based on factors such as location, the level of care needed, apartment size and the types of amenities offered at each community. To see a list of free memory care resources in Zephyrhills, please visit our Assisted Living in Florida page. Zephyrhills-area assisted living communities must adhere to the comprehensive set of state laws and regulations that all assisted living communities in Florida are required to follow. Visit our Memory Care in Florida page for more information about these laws.